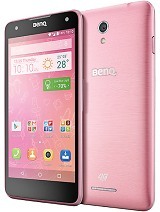 is this a phone?.....ew..i think its a designer's worst style ever! The very best sound recording telephone of all time! Did they try to recreate the romany cream? Shoot the Designer, Shoot the Designer...phuleezzz!!! Good cameraaaaaa, but where is the phoneeeeeeeeee ??????????? Does anybody know how much addition MiniSD memory can be added on? I was reading an article that said the miniSD slot allowed 512MB, but I'm hoping it can do higher. looks like a camera. thought it was ment to be a phone!!!!!! As bad as ginger management! It's very small and useful. When lost because of small size and carelessness, you can target it to your friend after he/she found it. I've owned this cell phone for 2 years now. It's the cutest thing ever, and I wish phone manufacturers hadn't forgotten about originality when designing their handhelds. I know it doesn't have the best specs, but it goes a long way in looks, and it performs it's role perfectly: it makes and receives phone calls, and even in speaker, the reception is wonderful. I just love my cube! 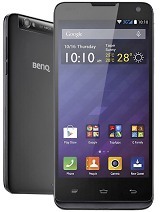 Total of 161 user reviews and opinions for BenQ Z2.